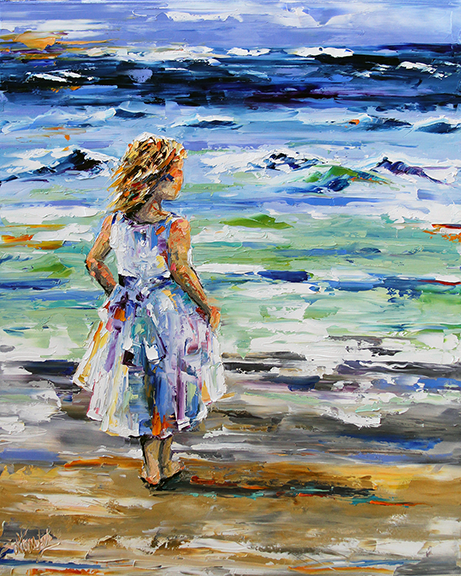 Here is the final painting... for me there is emotion building through the colors in the dress, the skin, the hair...and then the water and the beach. Life has all of this in it for us too. We just seem to miss it. Take the time and see it. Stop and observe what you have been blessed with. You do not have to be a broken winged bird.